It’s fairly easy to categorise some games. Of course, slots and classic slots, as well as table games like roulette and baccarat can all be nicely packed into their own sections. However, there are some products which just don’t fit in to any specific category, and usually there are only one or two of them, meaning that providing them with their own category is fairly useless. Instead, all products which don’t fit in to any other kind of genre are deemed as ‘Other Games’. But, what exactly are these other games and how do they work? Well, in terms of the options available from NetEnt, this category was originally filled by just three different games. 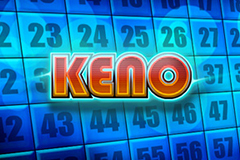 It was then reduced to a single one in November of 2014, which was the progressive jackpot game, ‘Bonus Keno’. This game still exists today, although it has also been joined by a couple of others which aren’t able to be categorised as this or that. This means that there are now a few different games available from our favourite developer which are able to be accessed in a casino’s other games section. As mentioned, this product is the longest running of the games that can be considered one of the ‘others’. It’s basically an online version of a lottery type game, which requires you to select various different preferred numbers in the first instance. You’ll then need to press the start button, at which point, the game will randomly draw out 20 different numbers, and depending upon how many of these you have chosen in the beginning, you’ll find yourself with a pay out relating to such. This is the general basics behind playing this game. However, as also mentioned, it does feature its own locally accumulated progressive jackpot as well, meaning that whenever you do play it, you have the opportunity to be a big winner. Plus, there’s an extra added bonus round on top, so it’s really one of their more compelling games when it comes to those which don’t have a category to fall in to. We’ve all heard of bingo before, right? Well, it’s now accessible in digital format as well via NetEnt. You’re able to play up to three tickets at once, providing you with extra chances of winning, and what’s more, the game is also connected to a progressive jackpot. Playing the game is very simple. Each of the tickets contains three boxes with 25 numbers, and the goal of the game is to get five numbers in a row. The balls begin rolling once you have purchased your tickets and a total of 30 of these will be drawn. The numbers of these balls drawn will be automatically marked off on your ticket(s), and should five of yours match in a row, you’re a winner! 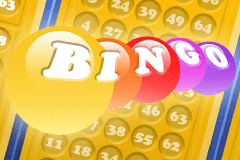 In order to win the incorporated progressive, you’ll need to play all three tickets and get a bingo at the fifth or sixth drawn ball. 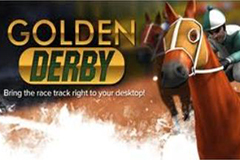 Golden Derby joins the other two options in this category and presents you with a horse racing game, where you’re able to place multiple different bets for every race. Each of these races contains eight different horses, and all of them have their own colour and jockey. Details on each of the horses can be checked before a race begins, so you can scan through information on its power, velocity and endurance. You’ll then have the chance to place your bets, which will then be shown on your bet slip. The race itself is then shown, and if your horse is a winner, you receive a pay out. Simple. There is, again, a progressive jackpot attached to this product as well, and this of course grows whenever a gamer places a bet on a race. At the start of each race, you will see a jackpot number, which will be visible for the duration of the race. When all eight horses finish in the order you have predicted in the jackpot list, you will be the winner of the entire progressive funds. A correct prediction of six horses will see you win 10% of this amount. For the moment, NetEnt doesn’t have any further games that can be considered a part of the ‘Others’ section. However, they are always developing and introducing new products, so it’s fairly possible that they’ll come forth with more of them at a later date.